In 2017, Enitan Marcelle and Tchiki Davis of the University of California-Berkeley’s Well-Being Institute decided to conduct a study of the effectiveness of online therapy. 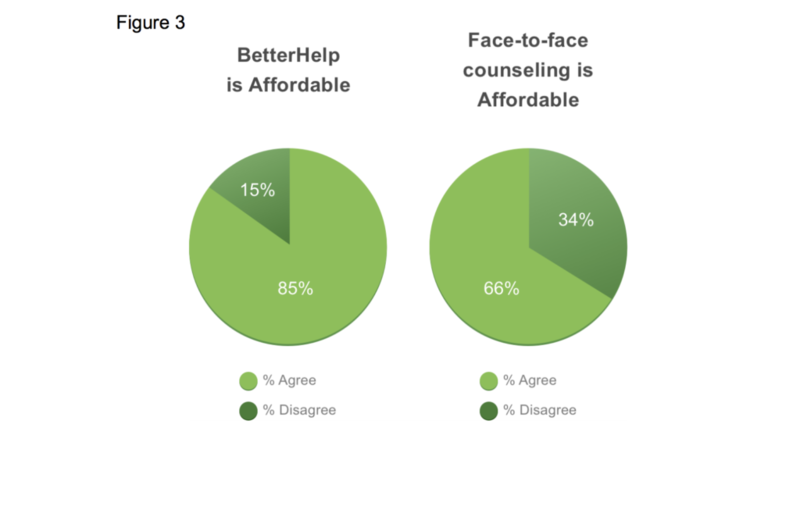 Their motivation: 77% of U.S. counties experience a severe shortage of mental health professionals and by the fact that and there had been some initial studies of the effectiveness of technology-based counseling being comparable to face-to-face counseling. They knew of no research that had been done investigating the benefits of a holistic online therapy service, one that combines texting, telephone, live chat and video. 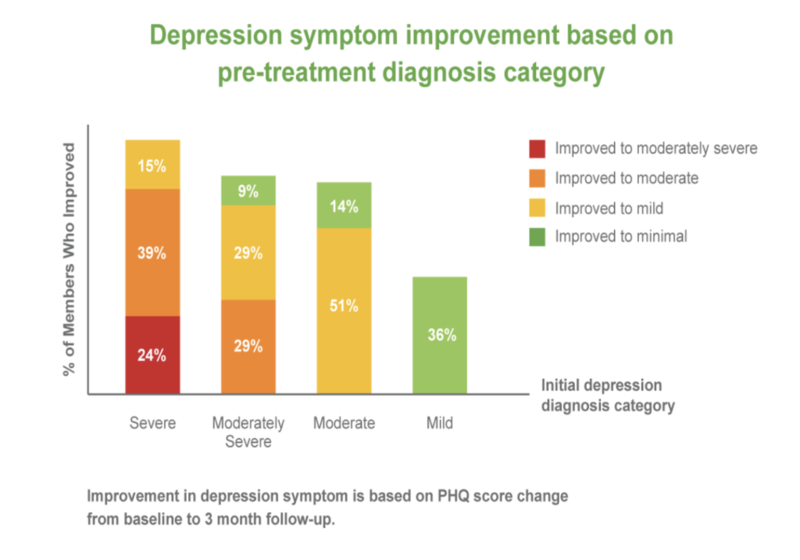 What they found: Over 70% of people who have tried online therapy reported a reduction in their depression symptoms. 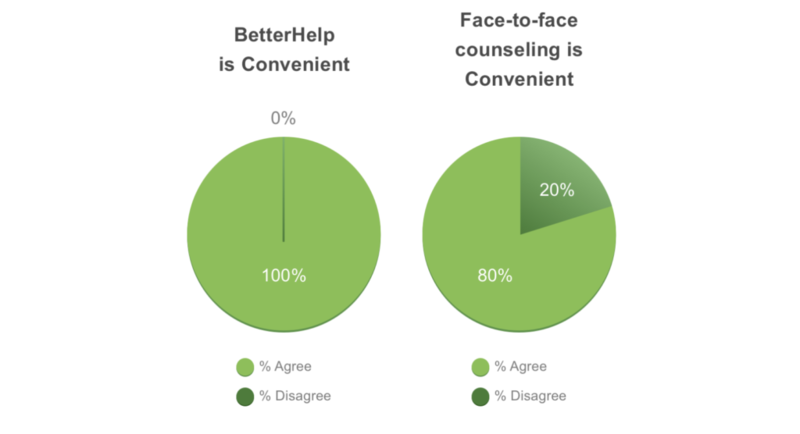 They used BetterHelp, the popular online therapy service, to conduct their test. 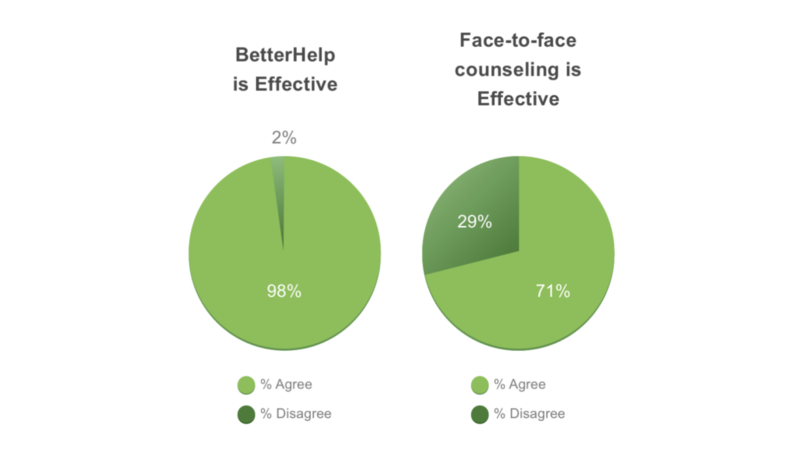 They chose BetterHelp because their roster features licensed, trained, experienced and accredited therapists and they had a larger user-base than any of their competitors. Their study consisted of 318 members across all ages. They started by charting the severity of these users’ depression and how it changed on a bi-weekly basis. 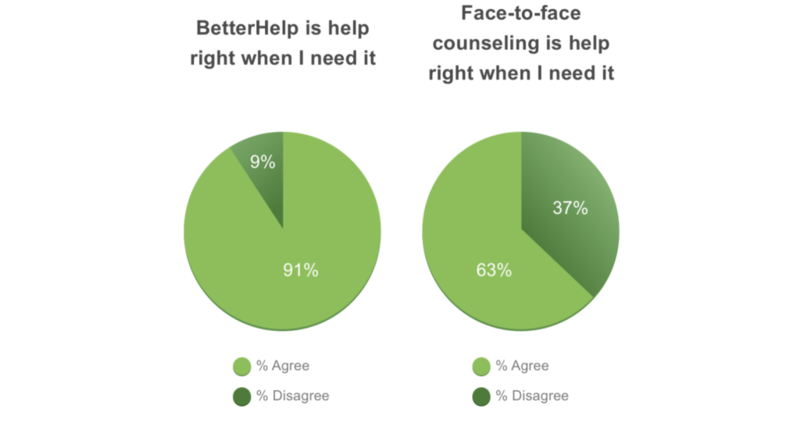 Over a span of 3 months, they found that BetterHelp users reported significantly lowered depression symptoms and those with severe levels of depression saw the most improvement from using the service. 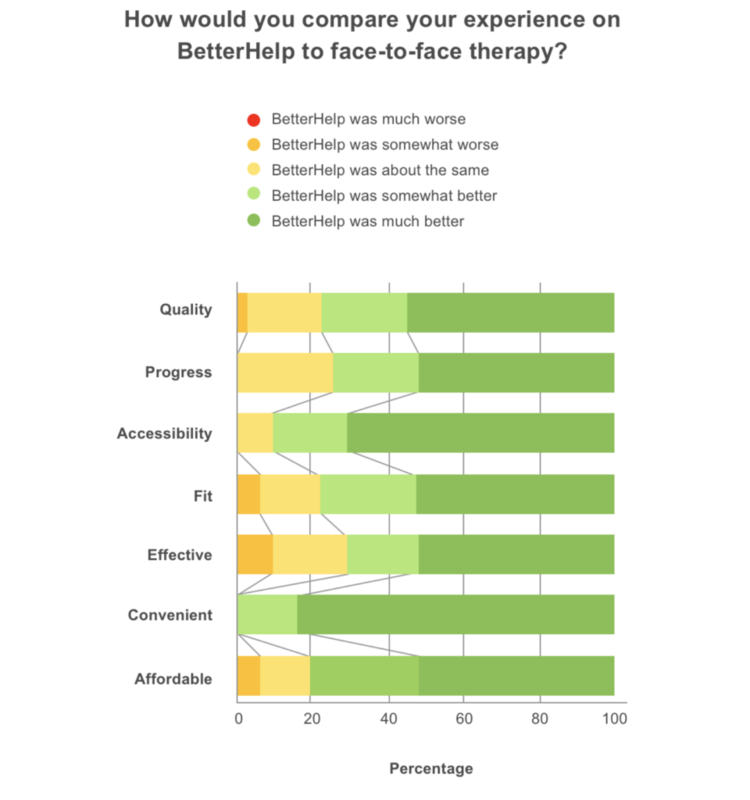 The research clearly demonstrates that online therapy is a viable, if not better, method of therapy. Given the potential scalability of online therapy, this study is an extremely exciting development in bringing mental health to those who wouldn’t normally have access to it. Try our Free Online Therapy chatroom. Check out BetterHelp for yourself.